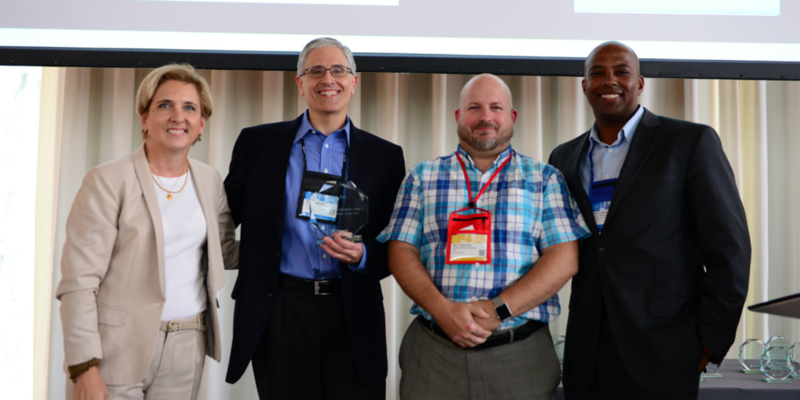 July 14, 2015― iV4, an industry-leading IT consulting, design, engineering, and support company, today announced that Microsoft has named the company its 2015 U.S. SMB Champions Club Northeast Partner of the Year. The award was announced at Microsoft's Worldwide Partner Conference being held this week in Orlando, FL. "iV4 is honored to be named Microsoft's SMB Partner of the Year for the Northeast region. This award solidifies our continuous dedication to deliver business-ready technology solutions to our customers. Microsoft plays a strategic role in our overall technology solutions and we couldn't be more proud of this recognition," says Mike Spoont, CEO of iV4. Each year, the Microsoft Partner of the Year Awards are presented at the Worldwide Partner Conference (WPC). This prestigious awards program recognizes partners who have delivered exemplary solutions built on Microsoft technologies. The Microsoft U.S. Small and Medium Business (SMB) Champions Club recognizes top performing value added resellers (VAR) that deliver cloud-based IT services and solutions to SMB customers. To earn recognition as a U.S. SMB Champions Club member, iV4 established a proven track record of delivering businesses the technology they need to grow and thrive, in many cases taking a cloud-first approach to IT services. iV4 is a Microsoft Gold Partner and certified in seven Microsoft Competencies: Gold Datacenter, Silver Cloud Platform, Silver Collaboration and Content, Silver Cloud Platform, Silver Cloud Productivity, Silver SMB Cloud Solutions, and Silver Midmarket Solution Provider. iV4 is a Microsoft Gold Partner information technology and consulting firm with a demonstrated ability to deliver flexible solutions that fully meet our client's needs in a dynamically changing business environment. We help move your business to the forefront.